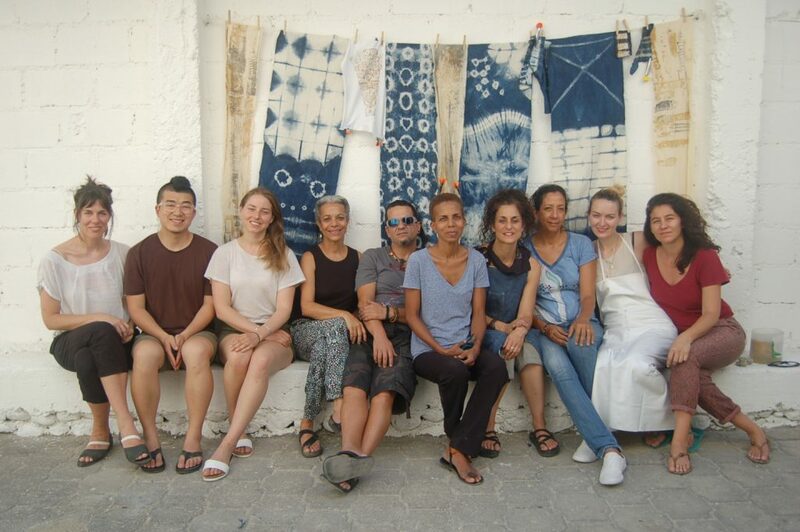 Ekaterina Kulikova (Fashion Studies ’15) leads a nautral fabric dye workshop for Haitian artisans at the Design, Organization, Training Center in Port-au-Prince, Haiti. 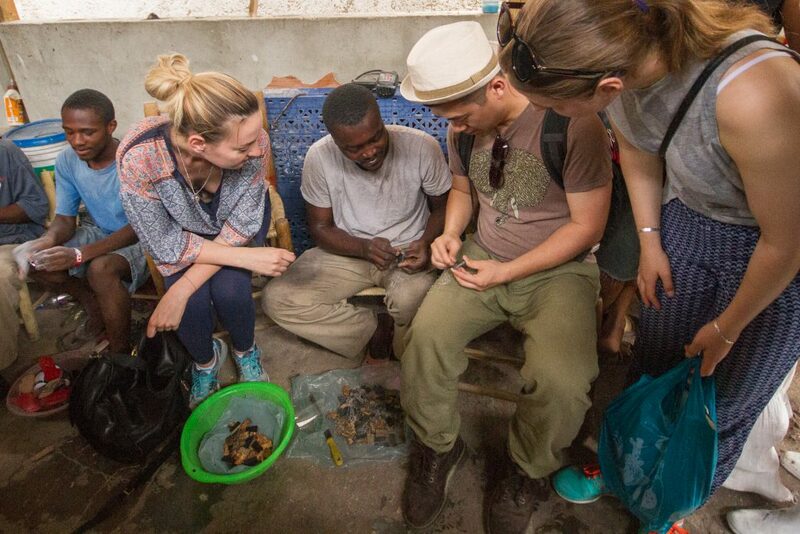 Mochi Liu (Architecture ’15), Amanda Evengard (Product Design ’15) and Ekaterina Kulikova (Fashion Studies ’15) work with Haitian artisans at the Design, Organization, Training Center in Port-au-Prince, Haiti. 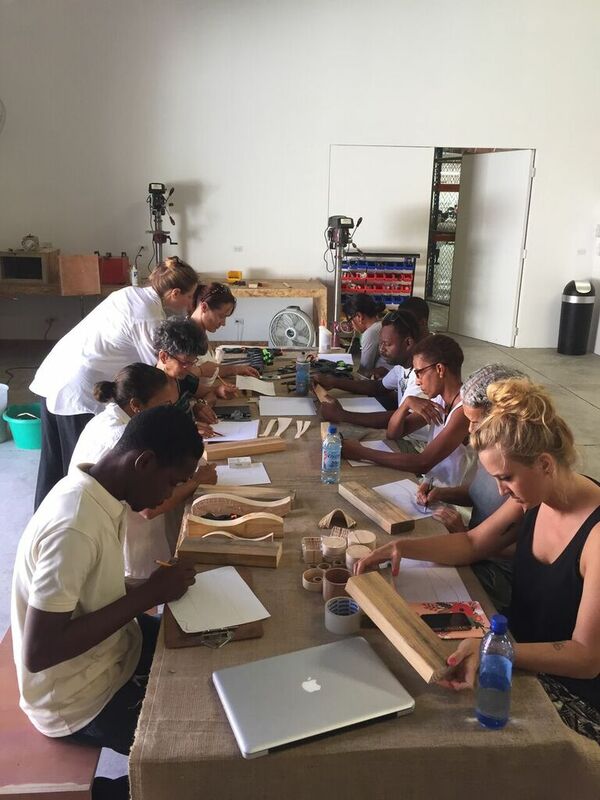 Amanda Evengard (Product Design ’15) leads a wood bending workshop for Haitian artisans at the Design, Organization, Training Center in Port-au-Prince, Haiti. 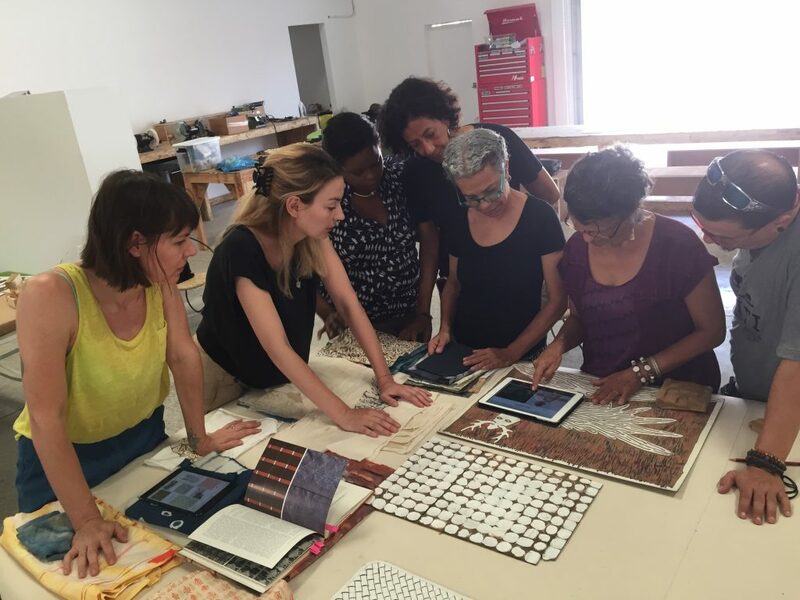 Mochi Liu (Architecture ’15), Amanda Evengard (Product Design ’15), Ekaterina Kulikova (Fashion Studies ’15) and Jennifer June (Interior Design ’16) with Haitian designer Paula Coles and members of the Design, Organization, Training Center team in Port-au-Prince, Haiti. At Parsons School of Design, Mochi Liu, MArch ’15; Amanda Evengaard, BFA Product Design ’15; Ekaterina Kulikova, MA Fashion Studies ’15; and Jennifer June, MFA Interior Design ’16 can access extensive studio facilities, including modeling, fabrication, and print shops. In Port-Au-Prince, Haiti, Marithou Dupoux has to make do with what she has. To design her raku pottery, the Haitian artisan uses a makeshift kiln made of ceramic fiber and chicken wire; she heats the apparatus with a torch fed by a large propane tank. Haiti’s artisans boast a proud tradition fueled by ingenuity, resourcefulness, and raw talent. Now, with the help of Donna Karan’s Urban Zen Foundation, Haitian designer Paula Coles and members of the Parsons community, including Liu, Evengaard, Kulikova, and June, Haitian artisans are getting the modern design training and access to state-of-the-art machinery needed to compete in the global marketplace. The resources are being delivered through the Design, Organization, Training (DOT) Center. Occupying 5,000 square feet in an existing 20,000-square-foot T-shirt factory in Port-au-Prince, the DOT Center is an incubator for Haiti’s artisan community, fostering innovation, providing resources and materials, and enabling artisans to scale up production while preserving their unique cultural practices. Through a fellowship funded by the Urban Zen Foundation, a team from Parsons led by Alison Mears, the director of The New School’s Healthy Materials Lab, made two trips to the DOT Center this year. During their initial visit this summer, Liu, Evengaard, Kulikova, and June tagged along with Karan and Coles to meet Haitian artisans in makeshift workshops scattered across Port-au-Prince. The graduates and students were in awe of Dupoux and her peers, who made “the most of whatever materials they could find,” including metal, horn, recycled plastic, and broken glass, Evengaard recalls. Although Haitian artisans have managed to use limited materials and tools to maximum effect, those resources can only take them so far: The machinery needed to perfect their products is scarce, as is the electricity required to operate certain tools and illuminate workspaces. At the DOT Center, June, Liu, Evengaard, and Kulikova, along with assistant professor of Strategic Design and Management Andrew Robinson and assistant professor of Alternative Fashion Systems Laura Sansone, led workshops for the artisans in laser cutting, fabric dyeing, wood bending, and block printing. That help extended to the design and manufacturing of market-ready products. Work on those products began in the summer and continued in the fall, when members of the Parsons team returned to the DOT Center, staggering their visits over the course of eight weeks. The products—statues made of reclaimed fabrics, geometric ornaments carved from soft obeche wood, and vases wrapped in dried tobacco leaves—were recently unveiled at Urban Zen Soulful Economy Marketplace, an annual sale of artisan-designed luxury goods held at Donna Karan’s West Village boutique. Haiti, which was devastated by a 7.0 magnitude earthquake in 2010, stands to benefit economically from the training and resources provided by the DOT Center. But the DOT isn’t merely a one-sided relationship, stresses Mears, who, with June, worked closely with Urban Zen Foundation to develop the design of the DOT Center itself.